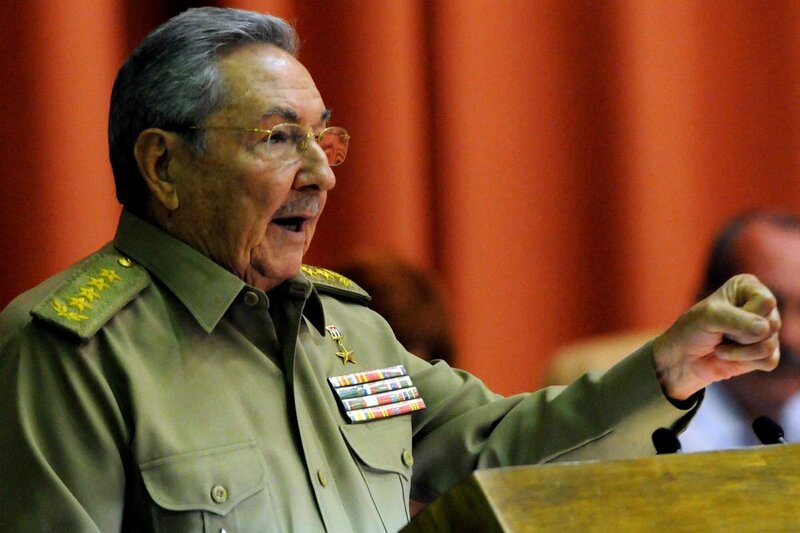 Speech given by Raul Castro Ruz, General of the Cuban Army, and President of the Council of State and Ministries, at the Fifth Ordinary Period of Sessions for the Seventh Legislature of the National Assembly of People’s Power, at the Convention Center in Havana, August 1, 2010, “The 52nd Year of the Revolution”. Two important legal instruments have been approved by the National Assembly at this session: a modified law within the current Administrative Policy Division, and the Highway Safety Code. The modifications to the Administrative Policy Division have been widely distributed in our press and discussed over recent months in the territories involved, as well as in the correspondent instances of the Party, the Government and the State. This allows me to move beyond the details, only emphasizing that its main proposal is to raise the level of attention to the population through a more functional and rational means of organization than that of the Administration and the Government. Furthermore, with this provision, we are completing the agreements adopted by successive Party congresses regarding the need to, over a prudent period of time, put the Administrative Policy Division through an analysis in order to make adjustments to it, relative to existing conditions. The new provinces Artemisa and Mayabeque will come into being on January 1, 2011, without repeating the errors that have accompanied the work of the local branches of People’s Power. They will come about under the concept of conservation and rational use of all resources, especially with templates matched to their functions and a clear delimitation of powers relative to the central administrative organizations of the State, national companies and political and mass organizations. For its part, the Highway Safety Code, whose approval we adopted at the previous session in order to deepen its contents, reconcile existing discrepancies and move forward in the elaboration of complementary dispositions, constitutes a contribution to the elevation of social discipline and the preservation of human life, as well as the reduction of numerous economic losses. Moving on to other matters, the expectations that were logically generated by the speeches from July 26th and within the Parliament are not foreign to me. Some were surprised that the main words at Santa Clara were spoken by compañero Machado Ventura, a magnificent speech, for sure. 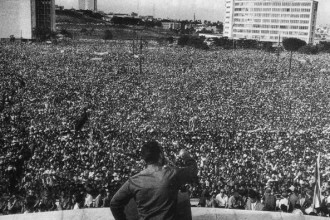 It’s true that since the triumph of the Revolution, this work always fell to compañero Fidel and on a number of occasions to me, but the important thing is not who speaks, but the content of the speech, which expresses the collective opinion of the leadership of the Party and the State on the most relevant questions regarding national tasks. Various press agencies and self-titled “analysts” on the subject of Cuba, dedicated countless news reports and articles both leading up to and following the action on July 26th, in which, misunderstanding our reality, they stridently anticipated the announcement of supposed reforms to our economic and social system and the application of capitalist prescriptions to direct the economy; some even dared to describe the existence of a struggle between tendencies within the leadership of the Revolution, and all coincided in urging deeper and more rapid changes along the lines of dismantling socialism. Upon coldly observing these press campaigns, it remains evident that almost all the news agencies are guided by the same driving thread. I’m not referring to the journalists, who are obliged to submit to the editorial line designed and demanded for Cuba by the media consortia, although at times they use the same phrases and pre-fabricated qualifications. Often they use completely identical paragraphs, regardless of whether they are from one region of the world or another. With the experience accumulated over more than 55 years of revolutionary struggle, it seems that we’re not doing that badly, and neither desperation nor frustration accompany us on the journey. If they were praising us, then we’d have reason to worry. As compañero Machado stated this last July 26th, and I quote: “With a sense of responsibility, we will follow, step by step, the rhythm that we ourselves determine, without improvisation or haste, in order to make no mistake and definitively leave behind the errors or measures that are not in keeping with current conditions.” (end quote). The unity among revolutionaries and among the leadership of the Revolution and the majority of the people is our most important strategic weapon, one which has allowed us to arrive here and continue perfecting socialism in the future. Although it hurts our enemies, our unity today is more solid than ever. It’s not the fruit of false unanimity or opportunistic simulation. Unity does not exclude honest discrepancies, rather it pre-supposes a discussion of different ideas, but with the same final proposal of social justice and national sovereignty, which is what always allows us to reach the best decisions. Unity is fomented and reaped in the widest possible socialist democracy and in the open discussion of all matters, no matter how sensitive, with the people. Speaking of sensitive matters, I should tell you all that after months of study within the framework of bringing the Cuban economic model up to date, at its most recent meeting on July 16 & 17, the Council of Ministers (with participation from the Vice Presidents of the Council of State, other members of the Politburo and the Secretariat of the Central Committee, the first secretaries of the Party’s provincial committees and the presidents of the provincial administrative councils, as well as the central cadres from the CTC [Cuban Workers’ Central], mass organizations, the UJC and high level representatives from those groups) agreed to undertake, in stages, a set of measures for the reduction of considerably bulky templates within the state sector. In a first phase, which we plan to conclude in the first trimester of the year to come, the work and salary system applicable to available and occasional workers for a group of agencies within the state central administration will be modified, overcoming the paternalistic focus that discourages the need to work to live. We will thereby reduce unproductive expenditures that involve equal pay through salary guarantees over long periods of time, regardless of their years of employment, to people who do not work. The success of this process will depend in good measure on the political assurances that we should accommodate, under the direction of the Party and with the active participation of the CTC and the unions. It’s essential to create a climate of transparency and dialogue where timely and transparent information is available to the workers, so that decisions might be adequately collective and the required organizational conditions can be created. 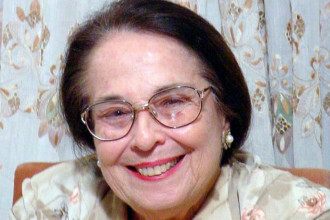 When the time comes to determine who has the greater right to occupy a position, strict observance of the principle of proven adequacy should contribute to the avoidance of any manifestation of favoritism, as well as discrimination based on gender or another kind, which must be strongly confronted. The Council of Ministers also agreed to widen the exercise of work through self-employment and its use as one more alternative for employing excess workers, eliminating various standing provisions in order to grant new licenses and the commercialization of certain productions, giving flexibility to the contracting of a work force. At the same time, in the aforementioned meeting of July 16 & 17, the application of a taxation system was approved for self-employment that corresponds to the new economic scenario and guarantees that those incorporated in this activity contribute to social security, pay taxes on personal and sales income, and that those who contract workers pay taxes for the use of this workforce. Soon there will be a full meeting of the National Council of the CTC where we will review these important decisions with the main leadership of the workers, which by themselves constitute a structural and conceptual change in the interest of preserving and developing our social system and making it sustainable for the future, thereby completing the mandate of the Cuban people, enshrined in the Constitution of the Republic, that the socialist character and the political and social system contained within it are irrevocable. (Applause). We do not shelter any doubt that in the materialization of these measures we will count on the decisive support of the working class, that along with the campesinos and the rest of society’s sectors, understands that without increasing efficiency and productivity, it is impossible to raise salaries, increase exports and create substitutes for imports, increase food production and definitively sustain the enormous expenditures inherent to our socialist system, a sphere in which we also have the duty to be rational, saving much more without sacrificing quality. On the other hand, I think that the momentous contribution to the improvement of social and work discipline that emanates from the application of these measures, escapes no-one. Upon adopting these agreements, we start from the position that no-one will be abandoned to their fate, the Socialist State will provide the necessary support for a dignified life, through a system of social assistance to those who truly are not capable of working and who are the only means of support for their families. The notion that Cuba is the only country in the world in which it is possible to live without working must be erased forever. As well, we have advanced in the studies managed by the Commission on Economic Policy for the Sixth Party Congress, and the various work groups created to elaborate proposals is functioning without interruption. We will analyze those proposals beforehand with the people as well as party members. In the midst of an adverse international economic situation, and its inevitable occurrence in our country, encouraging results in the national economy come from the estimates for the first semester, despite the incompletion of the sugar plan and other agricultural outputs, due to management errors as well as the effects of the drought. There has been an increase in the arrival of foreign visitors, oil production has been met, domestic monetary balance has been maintained and even improved, labor productivity reflects a higher pace than the median wage – an objective that has not been achieved for a number of years – exports have increased modestly, and the consumption of energy usage has been reduced, based on the reorganization of transportation and the effect of other conservation measures. The consumption of electricity reflects positive results in the state sector, as opposed to the residential one that grew more than expected. Exactly one year ago I referred to the restrictions on external financing that we faced due to the accumulation of payment commitments and the need to undertake debt renegotiation. Today I can tell you that thanks to the trust and understanding of the majority of our creditors, we have made some progress toward the postponement of these obligations, to which we have the strongest intention of honoring within the new time limits. Also, the withholding of transfers to foreign suppliers accumulated as of that date, are today barely a third of those a year ago and, as a sign of security in our country, foreign deposits in Cuban banks have increased. I should refer to another current subject. Through a sovereign decision, and in strict compliance with our laws, in recent days, the first 21 counter-revolutionary inmates of the 53 sanctioned in 2003 for crimes against State security, were released from prison and left the country. Prior to this, since 2004, an additional 22 who were sanctioned in the same case were granted parole. It’s worth remembering that none of these citizens were condemned for their ideas, as the brutal campaigns to discredit Cuba, in different parts of the world, would have it. As remains irrefutably proven at trial, all had committed crimes that were foreseeable and punishable according to our laws, acting in the service of the government of the United States and its policies of blockade and subversion. It should not be forgotten that at that time – 2003 – the then president George W. Bush, emboldened by the apparent victories in the wars in Iraq and Afghanistan, proclaimed “regime change” in Cuba and directly threatened our national security, even going so far as to publicly designate an intervener to administer the country after its occupation, just like had been done in Iraq. As a result, dozens of plans for domestic destabilization as well as hijackings of planes and ships were hatched, which we had to face firmly, on the basis of strict respect for the law. In regard to Cuba and the United States, essentially nothing has changed; our courageous Five Heroes remain suffering unjust imprisonment and abusive treatment, such as the cruelty currently being meted out to compañero Gerardo Hernández Nordelo, cruelty that has been condemned by this Assembly. Although there is less rhetoric now and the occasional bilateral conversation on specific and limited subjects takes place, in reality, the blockade continues to be applied and we continue to act with the serenity and patience that we’ve learned over more than half a century. 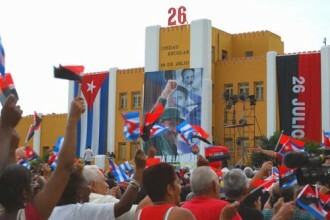 For us revolutionary Cubans, difficulties do not take away the dream. Our only path is to continue the struggle with optimism and unwavering faith in victory.